Handmade Detroit | Spring Shows Alert! In the mood for some Spring crafting? There are a number of Spring craft shows that have applications open right now for vendors, and that you’ll want to add to your calendars to shop, too! 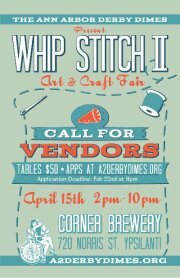 The Whip Stitch Art and Craft Fair is hosted by the Ann Arbor Derby Dimes, and will be at the Corner Brewery in Ypsilanti on Sunday, April 15th, from 2pm-10pm. Applications are open through February 22nd, and booths are $50. For more information and to apply visit the A2 Derby Dimes website. 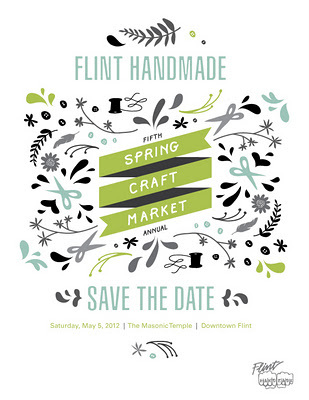 The Flint Handmade Spring Craft Market will be Saturday, May 5th from 10am-4pm at the Masonic Temple in downtown Flint. Applications are open until 10pm on Wednesday, February 15th and table spaces are $15-$30. For more information and to apply, visit the Flint Handmade website. In the mood for a crafty road trip? 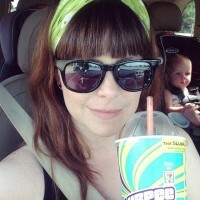 Apply for Crafty Supermarket in Cincinnati, Ohio! The fair is 11am-6pm on Saturday, May 6th at the Clifton Cultural Arts Center. Applications are due by February 29th, and a booth is $75. There is a $10 application fee, which is applied to your table fee if accepted. For more information and to apply, visit the Crafty Supermarket website.